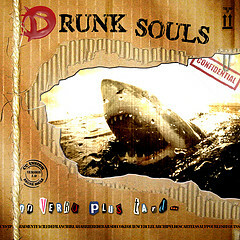 Drunk Souls is a totally independent fresh Reggae/Rock/Funk band from France. Most of their songs sound chill & fun, but there are definitely some dark compositions. The lyrics are always very insightful, meaningful and strong, oftentimes talking about tolerance and peace. I find the ever-present bass and the clean vocals to intensify the experience even more, but check them out for yourself. DRUNKSOULS: Punk spirit, Rock culture, Reggae sound.